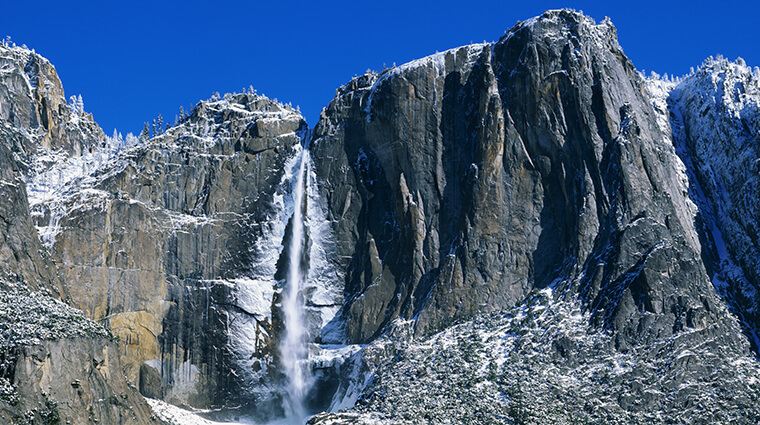 At a height of more than 2,425 ft Yosemite Falls is one of the tallest waterfalls in North America. It flows approximately November through July, with peak flow in May. Look for the ice cone at the base of the upper fall during winter and for roaring runoff April through June. Yosemite Falls is actually made up of three separate falls: Upper Yosemite Fall (1,430 feet), the middle cascades (675 feet), and Lower Yosemite Fall (320 feet). You can see Yosemite Falls from numerous places around Yosemite Valley, especially around Yosemite Village and Yosemite Valley Lodge. Hiking to the top of Yosemite Falls is a strenuous, 8 hour hike but worth it for amazing views of the falls. You can hike just the first two miles for some of the best views before returning back to the Valley floor. If you continue on, be sure to take a hat, sunscreen, and lots of water. 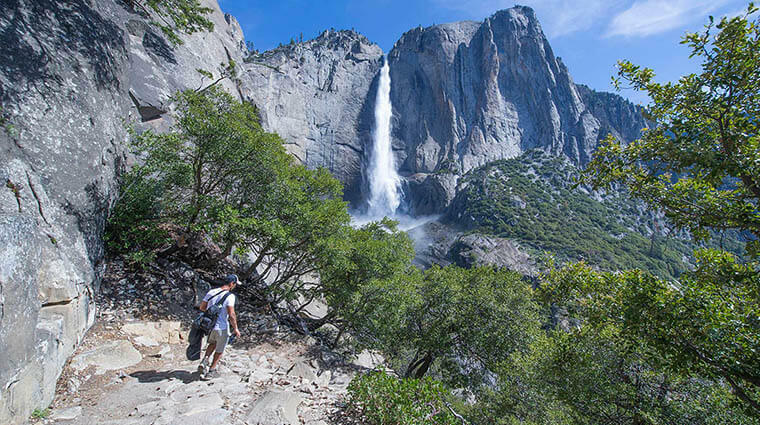 Yosemite Falls trail has lots of switchbacks and is very exposed with little shade in summer.